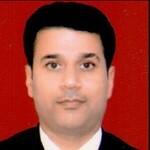 I, Shailesh Kumar Shah, advocate from Kanpur. Cell : 09198229091. E-mail advocateskshah@gmail.com. Area of practice Shares back from iepf, Revenue Law, benami law, right to information and land acquistion. Consultation through mobile/e-mail is professional legal consultation and one have to pay consultation fee.